This is a quick and easy little recipe that my family really loves when I make, and when I say simple, I mean simple. I have a very specific way I do it, but you can get creative with spices and flavorings. 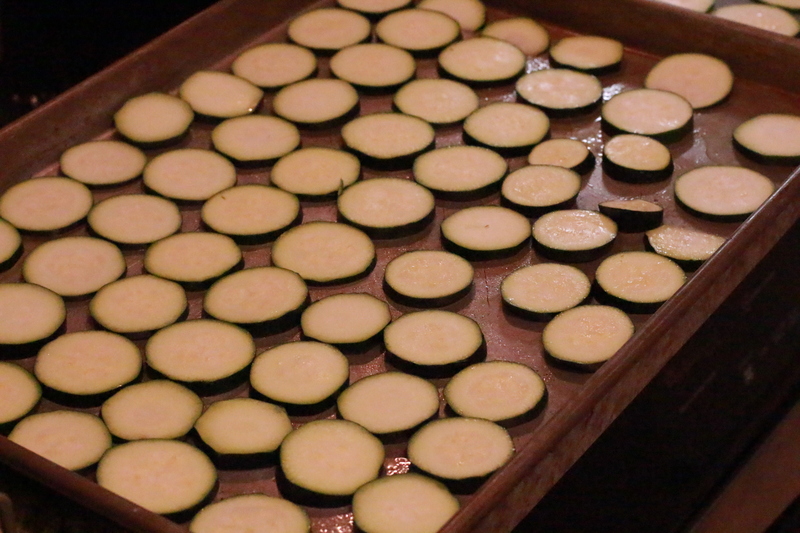 Pre-heat the oven to 375 and slice up a Zucchini or 2 or 3 – depending on how many chips you want to make. Not to thick or it takes far to long to get them crispy. To be honest using a Mandolin to get evenly sliced chips would have been better, but I didn’t even think of it until after I cut them up. My bad. Spray a baking sheet with non-stick cooking spray and put the zucchini slices on. If you use a flavored spray like – oh lets say the fake butter one perhaps – I know I know don’t crucify me, but it does add a bit of flavor to them and is one of the few times I cheat like that. Mostly. 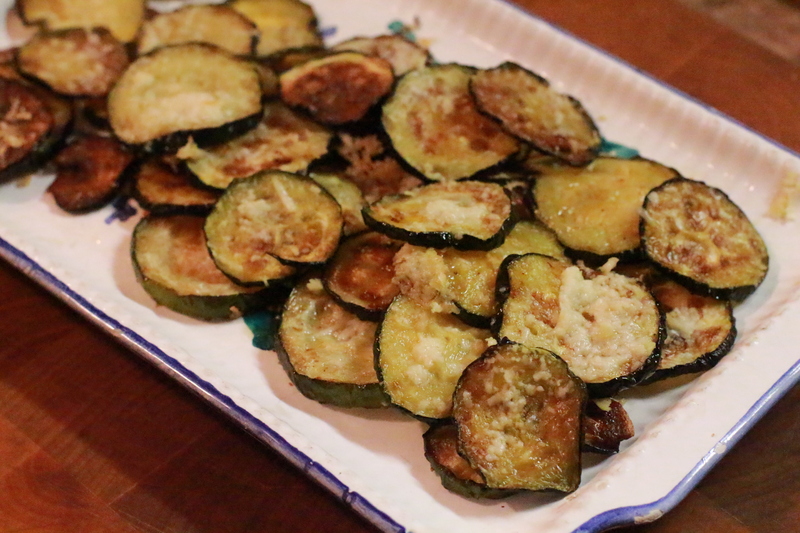 Anyway, spray the zucchini with the spray then as well, and sprinkle truffle salt on them before you put them in the oven. 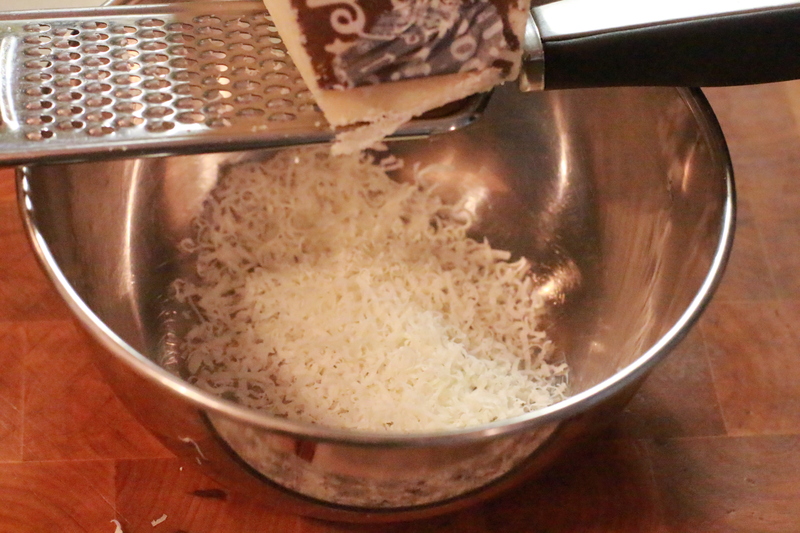 Meanwhile, if you don’t already have a tub of grated Parmesan or Locatelli, get it out and grate away. 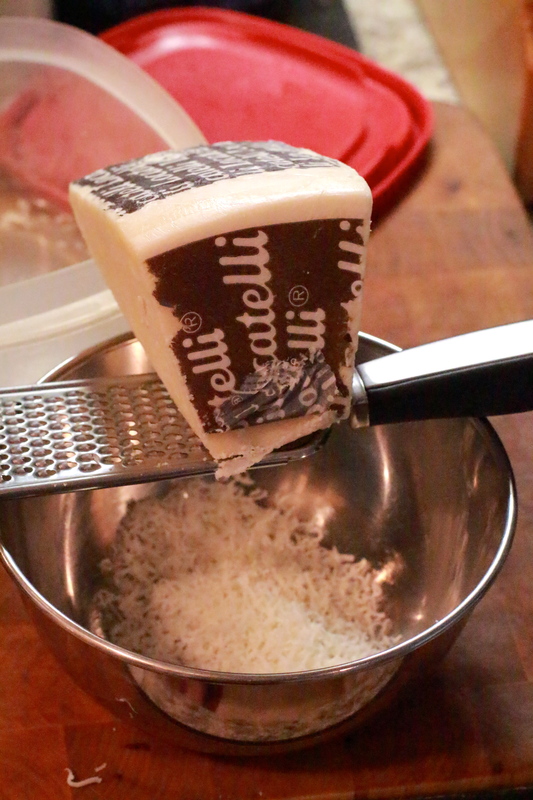 As you can see we have one mother of a wedge of Locatelli I have been using lately. To be honest they could have cooked another 5 minutes, but because I sliced them so un-evenly, some were overcooking to much. After they cool, they crisp up even a bit more. The last time I made these Littledude wouldn’t touch them, even though he has gobbled them up many times before. This time Ladybug was old enough to eat them whole and she loved them. The rest of the family? Well let’s just say these are requested repeatedly. Demanded could even be a better word. Simple, simple simple, tasty and nutritious. What could be better then that? Well ok, french fries – but that’s just a given.